All the benefits of EPA are yours to enjoy for free – with no time limits – on up to two devices. If you acquire more devices, simply purchase additional licences through EPA's easy-to-understand, easy-to-implement licence scheme. 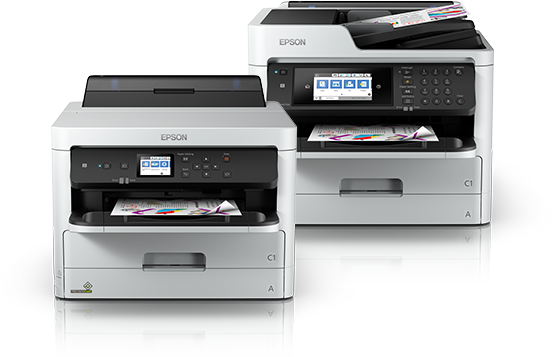 Please contact your local Epson reseller for more information. 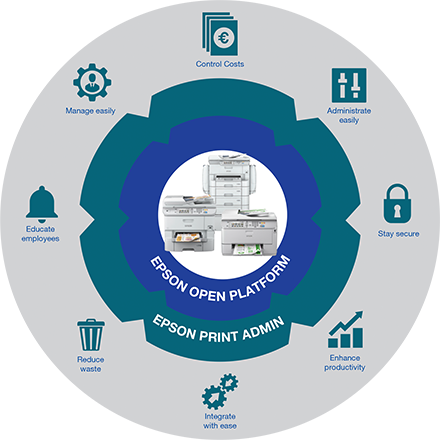 Epson Print Admin comes with a smart freemium licence model. To find out more please contact your local reseller or contact us. 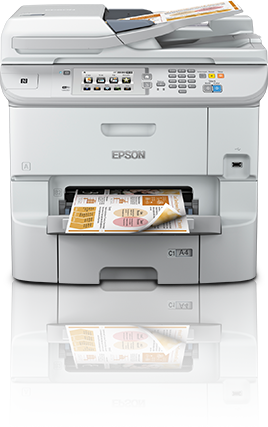 Eliminate piles of paper lying around the printers thanks to easy selection of which documents should be printed - documents follow users to the printer eradicating the most common cause of print waste while increasing document security. Every rule can cause a notification to be sent to the print job’s owner - this notification is an easy way to educate users about responsible behaviour when printing large documents in colour, for instance. 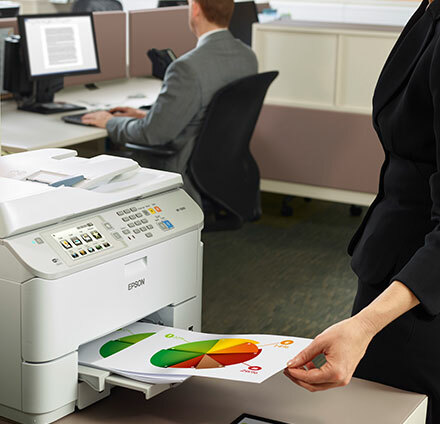 Organisations can track and allocate costs for printing, scanning and copying services by budget centre or by client - EPA tracks and reports on the billing codes entered into the MFP for easy accounting and tracking. Administrators can set up billing codes that enable organisations to manage and track costs by users, departments, projects, and cost centres. 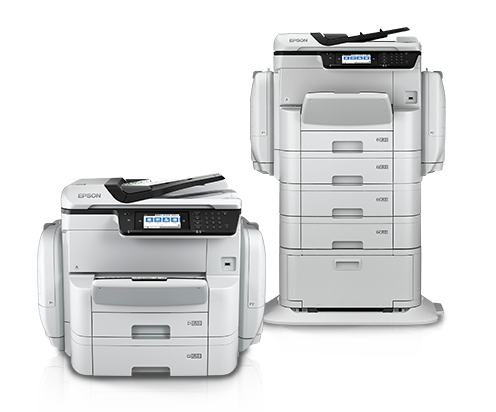 Unlock the potential of the WorkForce Pro business inkjet range by easily adapting them into web-based enterprise applications and workflows. 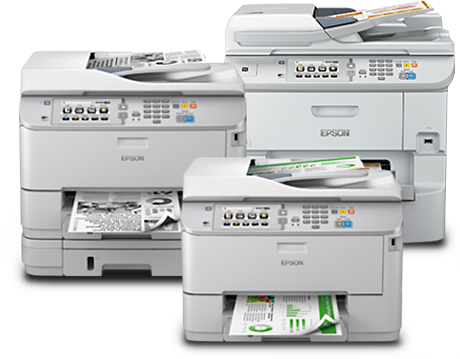 Small workgroup multifunction Epson inkjet printer, perfect for the business environment, from small offices to large corporates who may have traditionally used lasers and want to cut costs, increase productivity and reduce downtime when printing, scanning and copying. 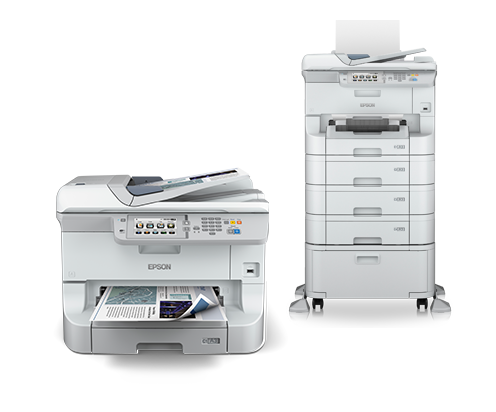 I would like to receive email information about further Epson products, promotions, offers and events. Determined in accordance with ISO/IEC 17629 showing the average of FPOT(sec) from the Office Category Test for default A4 simplex and duplex. 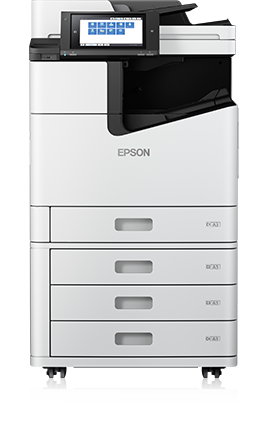 For more information, please visit www.epson.eu/testing.